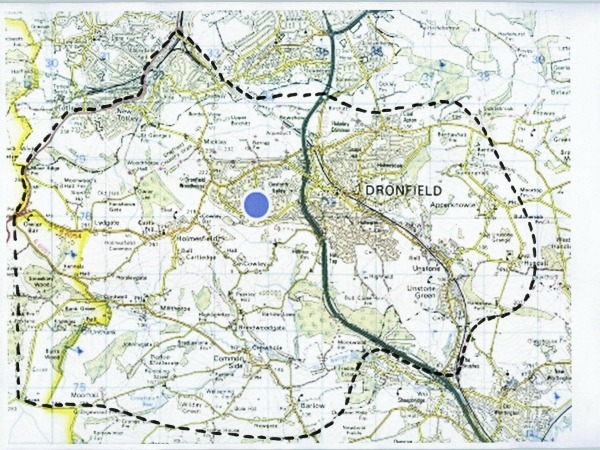 The area covered by the practice includes Dronfield, Dronfield Woodhouse, Coal Aston, Apperknowle, Hundall, Unstone, Holmesfield, Millthorpe and Barlow. If you have an S18 address, you live in our practice area. We also cover the Sheffield areas of Bradway and part of Totley (roads to the south-east of Baslow Road & Abbeydale Road South from Twentywell Lane to Owler Bar).